As Brent price reached more than $50 per barrel last week, for the first time since July 2015, energy experts have begun to disavow earlier predictions of $20-$30 oil. However, the recovery might not come so soon: Speculators appear to have overstated Russia’s military campaign in Syria amid expectations for rising oil output in Iran, a possible game changer in complex oil scenarios. The average price for Brent was $51.16 per barrel, $4.06 per barrel more than the previous week. Brent fell to a six-year low just above $42 a barrel in August, down from a peak above $115 in June 2014. Currently, the price of oil continues to fall in the world markets. On the NYMEX, the cost of the US Light crude oil fell by $0.58 to stand at $46.81. The price of British Brent crude oil at the London ICE fell $0.81 to trade at $49.36. The price of a barrel of Azeri Light crude oil decreased $1.78 to stand at $52.21 in world markets. Russian airstrikes in Syria have set the tone in the crude market for some time. Although Moscow’s decision is related to its international standing, it is more importantly also a long-term play for higher oil prices. This escalation certainly increases uncertainty in the oil-rich Middle East, thus boosting oil prices. Some experts believe the current conflict in Syria should only affect the oil market if violence spreads to the broader region. However, while Syria is not a major oil producer, the country is too close to the Strait of Hormuz, a critical chokepoint for the transit of 17 million barrels of oil each day. Gal Luft, co-director of the Washington-based Institute for the Analysis of Global Security, says Syria alone will not have a meaningful impact on prices as it is distanced from the market movers and has been written off by the market long ago. As the global glut of crude kept price gains limited, Edward Chow also warned that prices are likely to fall again due to the continued oversupply of oil. Chow, a senior fellow at CSIS Energy and National Security Program, sees the recent oil price increases as a technical rebound “which has very little to do with the Syria crisis,” after a period of below $50 prices. “This rise in prices may or may not hold since supply continues to exceed global demand and prices may yet go back down to below $50 again,” he wrote in an email to AzerNews. As some oil analysts believe Russia's military campaign in Syria won't be enough to overshadow the supply glut that caused prices to crash in the first place. They argue instead that an agreement on oil production will. After a year of cheap oil prices, it looked like there might have been some cooperation between Saudi Arabia, the main producer within OPEC, and Russia. Earlier, the Saudis repeatedly said that they would cut production if Russia, too, would cut back. Russia, one of the world's top three oil producers, announced last week that it was prepared to meet OPEC and non-OPEC oil producers to discuss the market if such a gathering is convened. A separate meeting between Russian and Saudi officials is planned for the end of October, Russian Energy Minister Alexander Novak has said. Later, the OPEC gave positive signals for the recovery of oil prices. Oil prices around the world can expect recovery and continued stabilization in 2016, Reuters reported, citing OPEC Secretary General Abdalla Salem El-Badri, who said that investors can be optimistic about the oil industry's future in the coming months. Meanwhile, Russia's military campaign was not the only factor driving up oil prices. Some analysts believe that after hanging on for almost a year, the capitulation of U.S. shale oil to OPEC is close, due to high costs. Statistics released last week showed U.S. oil production fell in September to the lowest level in a year. 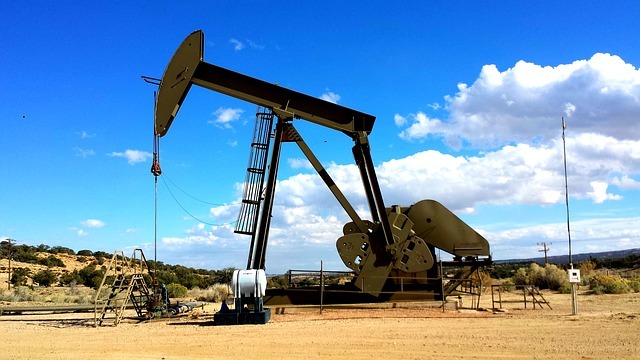 The number of active rigs has fallen by 40 percent from a year ago. Analysts agree that the U.S. shale oil industry is in retreat, but it will largely survive in 2016, and its production decline will not be catastrophic enough for crude to shoot up, but things may change in 2017. Luft, a senior adviser to the United States Energy Security Council, notes that the tug of war between the Saudis and the US shale industry will continue as American producers improve efficiency and cost. “The Saudis still have deep pockets and can last the lower prices for quite a while,” he wrote in an email to AzerNews. The price war between the Saudi Arabia and U.S. producers began a year ago when Saudi Arabia, OPEC'S de facto leader, got tired of seeing its market share share shift to others, and together with the other financially strong Persian Gulf producers, decided to play a price game. And the Saudis seem to have won. OPEC expects U.S. oil production to drop by 100,000 bpd after explosive growth in 2014 and a slight increase this year. In turn, OPEC countries will expand their market share by more than that because demand is projected to increase by 1.25 million barrels per day. The forecast is probably realistic being that at current prices, demand is growing everywhere because cars, trucks and planes are cheaper to use. Moreover India and China, the main consumers of fossil fuels, are getting hungrier for oil because of growing domestic demand. Luft, however, doesn’t see big changes any time soon. “In the longer term we will see a sharp increase in prices due to market adjustment. As long as the transportation sector remains monopolized by oil as the sole commodity that can move the world, it’s only a matter of time before the correction occurs but this can take 2-3 years to happen,” he wrote. But, Iran could spoil plans. The country threatens major oil industries with its retuning to the global arena. First, Iran can put its 30-40 million barrels of stored oil on the market. Later, the country needs to ensure that new production increases, and it will be fighting for market share it lost for its nuclear program. Seyed Mehdi Hosseini, the Chairman of the Oil Contract Restructuring Committee, has recently announced that Tehran was ready to offer 50 new projects to international investors. Any significant increase in the Iranian oil supply would add to the current oversupply in markets, pushing prices even lower. The new contracts will be a modification of the traditional buy-back risk service contracts and have been specifically designed to increase the attractiveness of Iranian oil projects to foreign investors. Brent prices showed recovery last spring, reaching a peak of almost $68 per barrel in May, and when the Iran deal was reached on July 14, Brent fell back down to $56 per barrel. Much depends now on whether Iran can speed up oil production as fast as it says, and on whether speculators react to these efforts as they did to reports about the nuke deal. Iran’s rising oil output after international sanctions against it are lifted could mean the difference between a balanced market and continued oil flow.